Under dry and cool conditions, DNA is a relatively stable molecule. 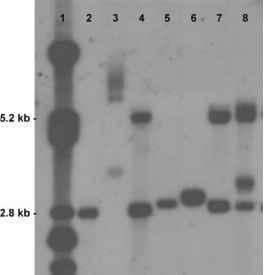 From a technical and criminalistic point of view, DNA can be collected and stored like most visible biological stains. Crucial steps are examination of evidence including photographic documentation, and storage under dry and cool conditions. Special aids such as sexual assault kits, swabs, drying devices, and filter paper treated with denaturants are available and should be used. However, DNA collection in forensic environments is not a merely technical but also a criminalistic task. Two questions are of special importance: 1) whether a stain is of relevance for the actual crime, e.g., if it could have been left at the scene some time ago by persons who are not related to the crime, and 2) if a stain should be used for extraction straight away, or stored as long as possible for morphological measurements and crime (scene) reconstruction, e.g., the form of blood stains on wallpaper, the exact location of sperm stains on clothing, or the exact location of skin cells found on furniture.